City Maps, Visitor Information and Big Bus Tour tickets which can be purchased at reception. Just 800 metres walk away is the world famous Ministry of Sound nightclub, while more sedate evenings can be had at anyone of the many local pubs dotted around the area. If you’re looking for a livelier party vibe, venture up to Borough High Street or into the West end or Shoreditch areas. London has no shortage of great galleries, including unique exhibitions such as the Wallace Collection or Satchi Gallery. 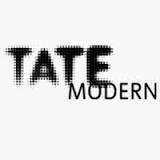 A short walk from the accommodation is the most popular gallery in London – the Tate Gallery. Free entry: a must for all visitors. Ask at reception. Stay at Accommodation London Bridge & take advantage of the accommodation’s excellent location for restaurants along the Southbank. There are too many restaurants along the river to list. For a guide to restaurants in London Bridge go Here ​ . Within walking distance: London Eye , London Bridge, Southwark Cathedral, Borough Market , Menier Chocolate Factory , Guy’s Hospital , the Old Operating Theatre Museum , the London Bridge Experience , the London Dungeons , Hay’s Galleria , HMS Belfast , City Hall , Tower Bridge, the Tower of London and The Shard . This former Bankside power station, now modern art gallery counts in the top ten visitor destinations in London. With Free entry, great lawns to laze on during summer months. Make your way to the fifth floor coffee house balcony for impressive views of St Paul’s and the Millienum “wobbly” Bridge. From Tower Bridge to Tate Modern and Westminster, by the Thames Path, is a must for all visitors. Pass Shakespeare’s Globe Theatre on the left, The Savoy Accommodation on the northside and on to Royal Festival Hall and Millenium Bridge further westbound towards Westminster & The London Eye. London Bridge is not known for great shopping, so we recommend heading to Oxford Circus or Covent Garden for shopping. Also within 5 minutes walk is Borough Market.